Healthy Relationships | How to be happy in your relationship. How to be happy in your relationship. You might ask yourself why is he writing about babies and keeping peace in your marriage in the same blog. “How to Raise a Baby” is part of a subtitle to THE best book I’ve ever read, bar none on raising children up to five years. 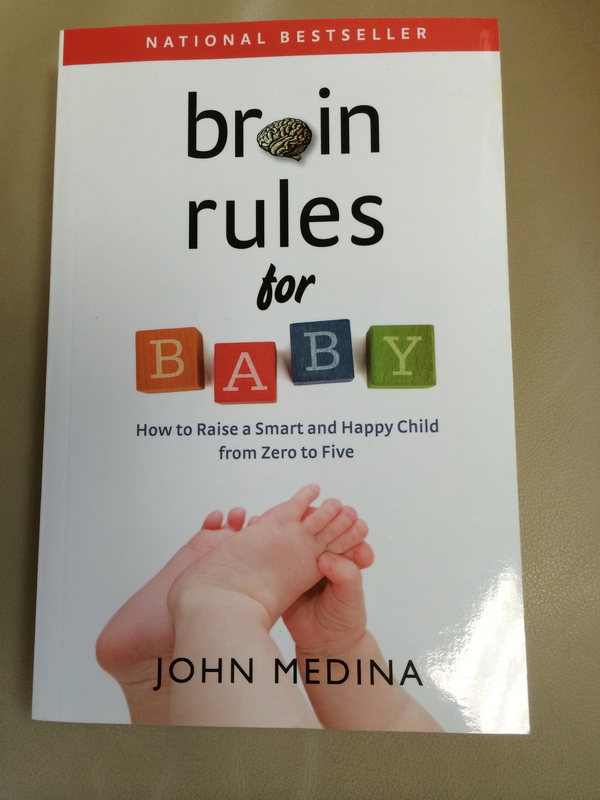 The full title is “Brain Rules for Baby, How to Raise a Smart and Happy Child from Zero to Five”, written by John Medina. Dr. Medina, a neurobiologist, decided to write a book about what babies need to develop as healthy, happy, smart children when his wife was about to have a baby. I read the book when my grandson was three months old and gave it to my daughter because I thought it was so good, so simple and clear. It was only in half jest when I suggested it could keep peace in your marriage. Of course we know that new parenthood is one of the most stressful times in a couples relationship and so to be on the same page raising a baby could potentially prevent much conflict. I also found that some of the things Dr. Medina suggested for raising a healthy baby also ring true for creating a healthy adult relationships. Babies seek safety above everything else. It’s our biological imperative, survival. We learn to do this by “attaching” to a safe person. Or not. That “secure” attachment in babies also predicts successful intimate relationships in adulthood. How can that be you ask? It’s really quite a simple but elegant system evolution has worked out over the millennia. When babies attach securely to a caregiver they are able to soothe themselves when that caregiver is not always available. Security translates to “safety” in a baby’s life. It turns out that when we have had secure attachments in childhood, it bodes well for security within relationships. So when your husband is yelling at you because he’s had a bad day at the office, no need to go into crisis…you just need to be calm and soothe yourself, or stand up for yourself if the situation calls for it. If he’s a relatively healthy person he will apologize for his actions when he comes to his senses and everything will be good. If you are not able to stay calm and add to the emotional volatility, chances are there will be a big blow up and the resulting damage will steadily erode away any romance that brought you together. Security trumps everything to a baby’s development. Security also trumps everything in intimate relationships; security in one’s self as opposed to a parent. In addition feeling safe also enables intelligence according to Medina. So let’s move on to the next important aspect of raising babies and good relationships. “EMPATHY” I loved the line Medina wrote when he lectures to groups interested in providing the right environment for their babies. The dads demanded to know how to get their kid into Harvard. “You want to know how to get your kid into Harvard? You really want to know what the data say? I’ll tell you what the data say! Go home and love your wife!” It’s relatively easy to love your one year old when they’re pooping and crying and spitting up on you. It’s much harder to love your partner when they are yelling at you or criticizing you. But that’s the simple truth. Activate what scientists have identified as mirror neurons and your baby will be happier and so will your partner. This emotional system in our brain helps us understand other humans. It appears to be developed in babies before they are a year old. It helps us understand because we are feeling the same thing the other person is feeling through a system of neurons that are firing conjointly in our brain and the other person’s brain. For years behavioral scientists have shown the quality of your relationships influences your happiness more than any other factor. And empathy sits at the foundation of those relationships. A research project (the Grant Study) started in 1937 following several hundred men for the duration of their lives, came to a definitive conclusion echoed by the study’s main caretaker, psychologist George Vaillant. “The only thing that really matters in life are your relationships to other people”. So after 75 years the one consistent finding: Friendships predict happiness better than any other variable. Furthermore, the study finds that by middle age they are the only predictor of happiness. WOW! Money, it turns out increases happiness only when it helps people out of poverty at around $50,000. So the millionaire is no happier than the person earning a twentieth of that. For an in-depth look at empathy and how to get it read my next blog. This entry was posted in Healthy Relationships, Raising Children and tagged Healthy Relationships, John Medina, Raising Babies on January 20, 2014 by larryholmanlmft. This is the first of what will be many installments of how to sustain healthy relationships. I’ve been a licensed marriage and family therapist for the last 20 plus years. I’ve also been married for 43 years (to the same woman). I had to add that because a friend of mine has been married 60 plus years to three different women. I can attest to the fact that being with the same woman (and likewise a man) for that length of time is certainly a test of perseverance. It certainly satisfies the basic human need for long term healthy attachment, which I’ll write more about in a future blog. In my private practice I work with issues that are primarily about relationships. But these are not just intimate relationships. They are parent child relationships, boss/employee relationships, friendships and many others. I do so because I know, based on research, that good relationships are the primary source of our happiness. Our drive toward success at our jobs or making money bring us a sense of satisfaction, but they do not bring us happiness. There is only a very small correlation between an increase in the amount of money you amass and happiness, unless you are very poor. Martin Seligman, in his happiness research affirms the importance of a strong social support system. The effect is strongest within married couples but it is very significant for single people as well. The more strong social connections you have the happier you will be. But the relationships have to be healthy, not toxic. As we pass through the holiday season, for many it is a time of bitter memories, of fighting with relatives, of loved ones dying and other sad times. For me it has been a time of creating the memories and narrative that I want to remember next year and all of the years to come. You have that within your power, to desensitize the bitter memories and create your own hopeful story. 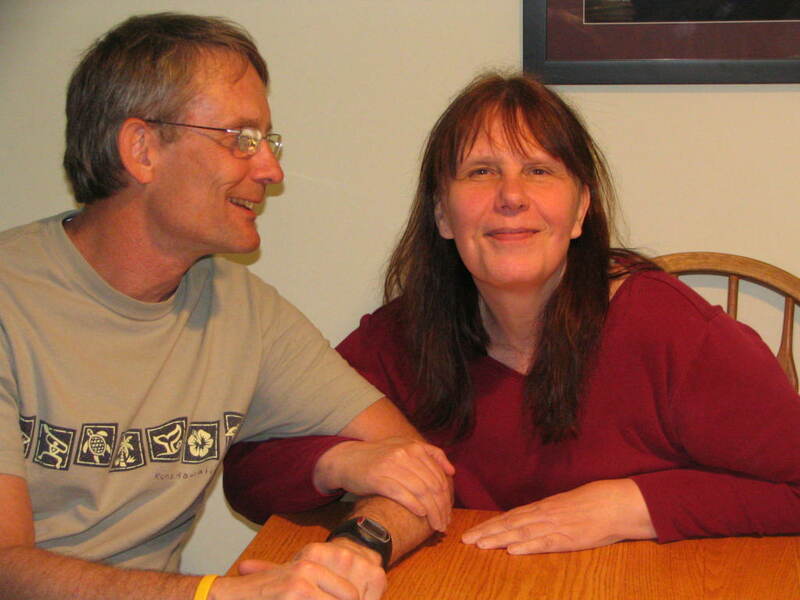 Picture below is of Larry Holman and his wife Barbara. This entry was posted in Healthy Relationships on December 28, 2013 by larryholmanlmft.